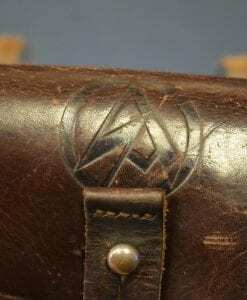 In 98% condition, we have an extremely rare and highly sought after A.F. 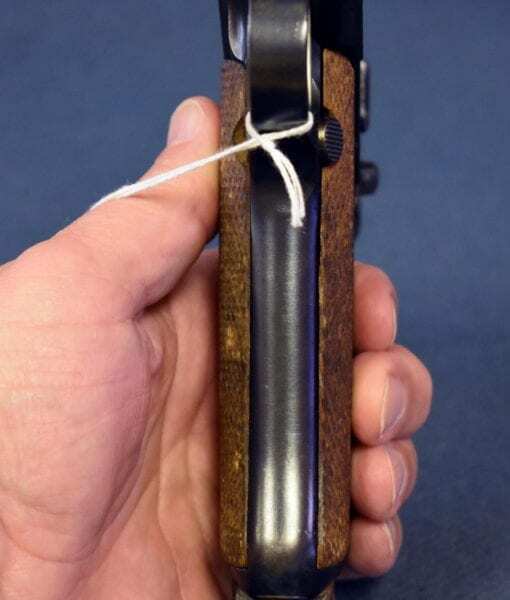 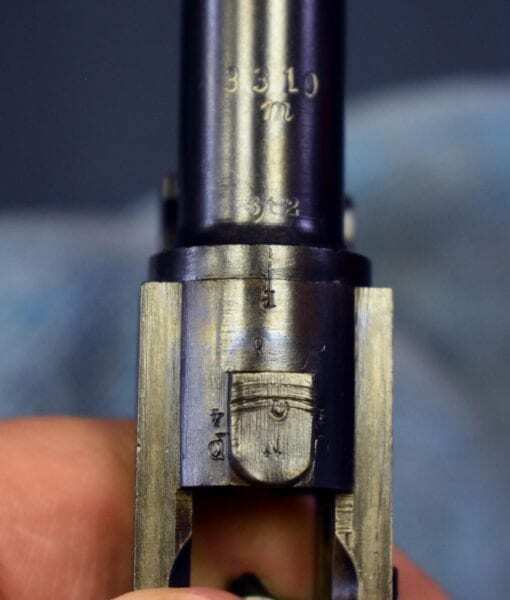 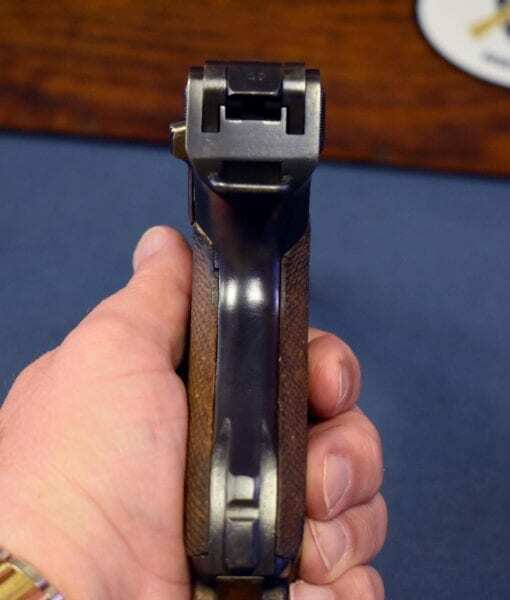 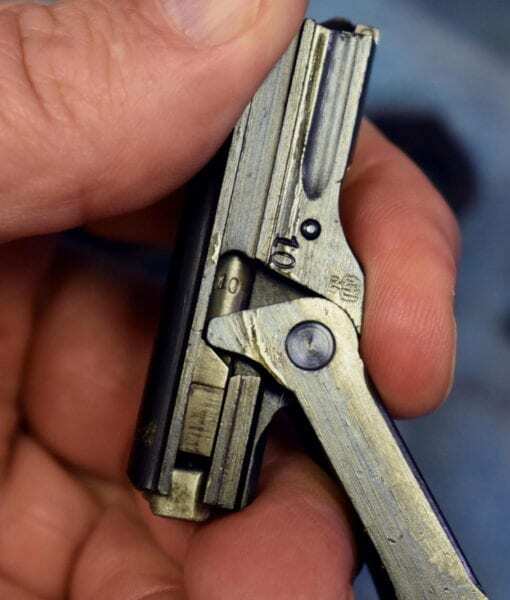 Stoeger Lange P.08 “Artillery Luger”. 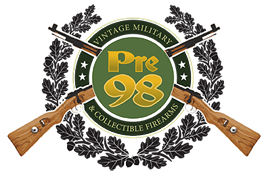 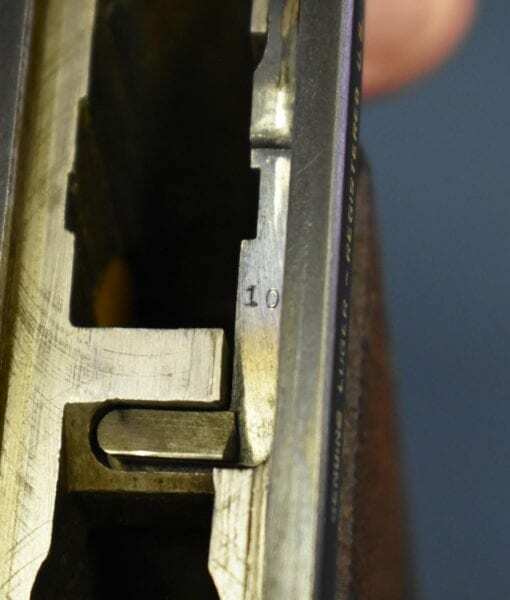 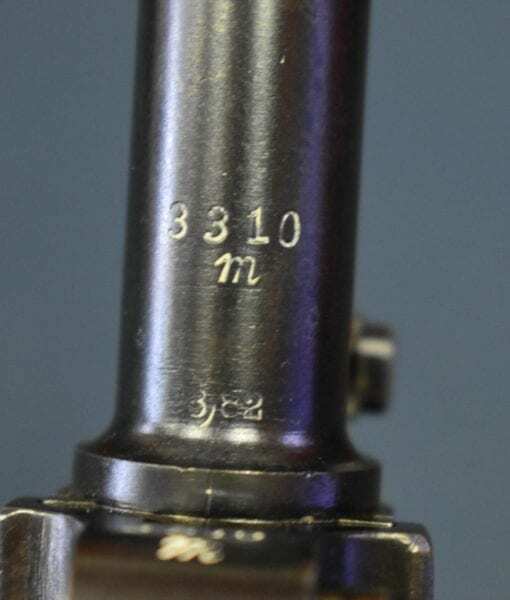 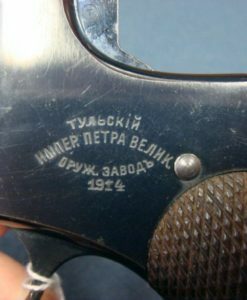 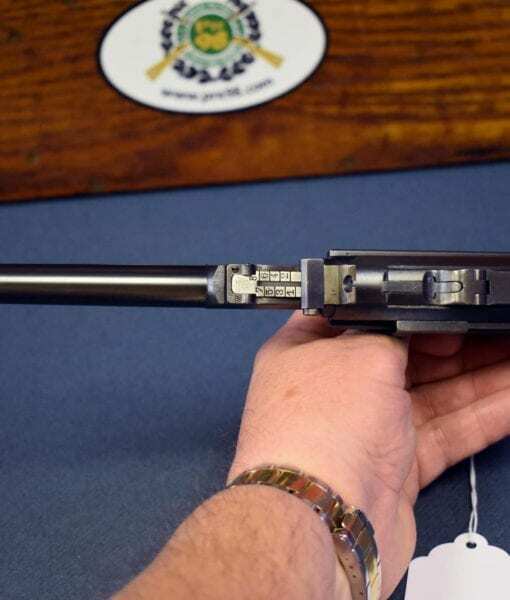 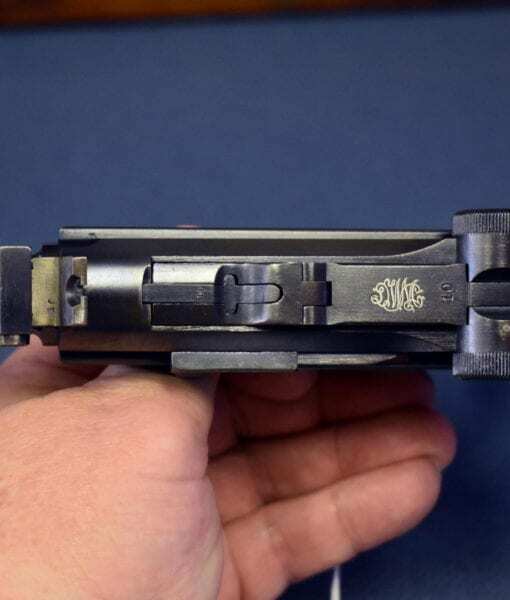 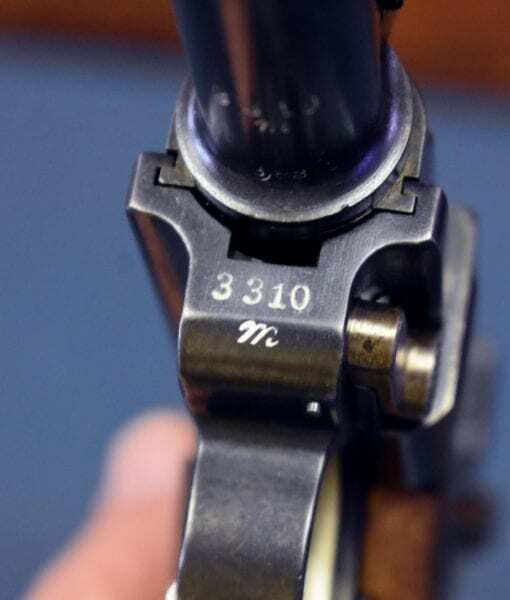 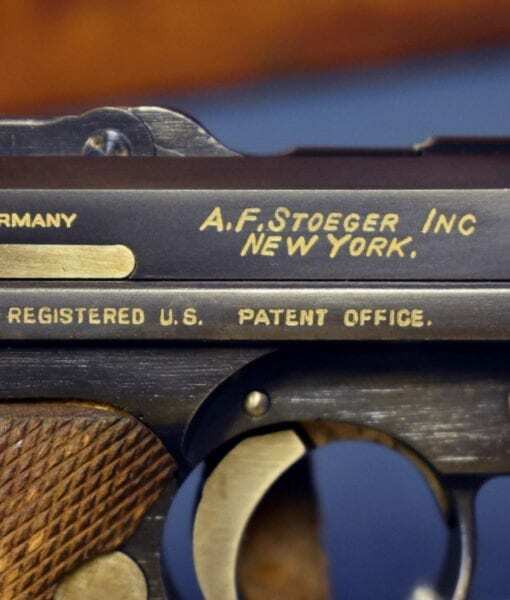 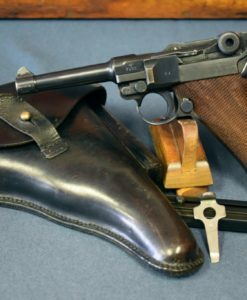 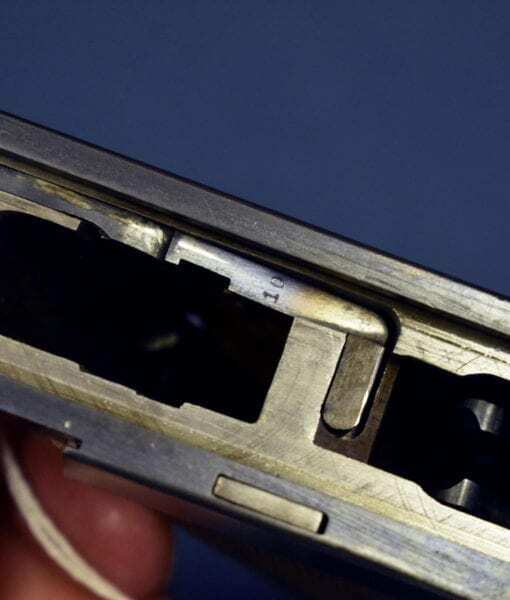 This has the legendary Stoeger markings, including the famous “GENUINE LUGER – REGISTERED U.S. PATENT OFFICE”. 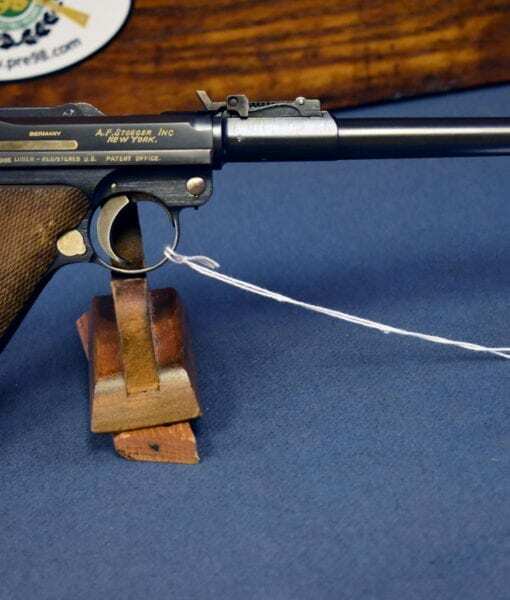 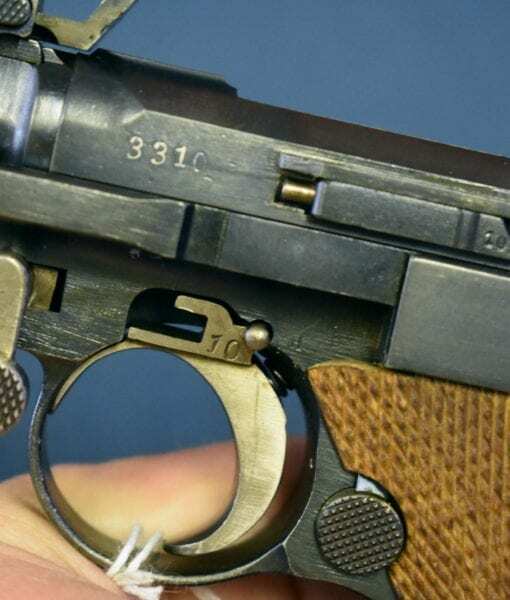 This is one of the rarest of the Stoeger Lugers and it was built out of WWI Artillery Luger parts. 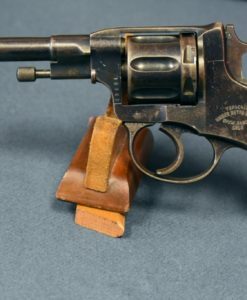 The pistol is all matching with a mint bore. 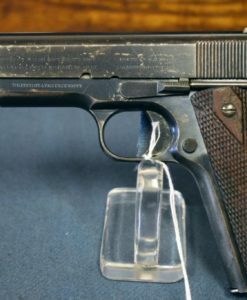 These pistols were sold commercially in America during the 1920’s and early 30’s which was the golden age of Lugers in America. 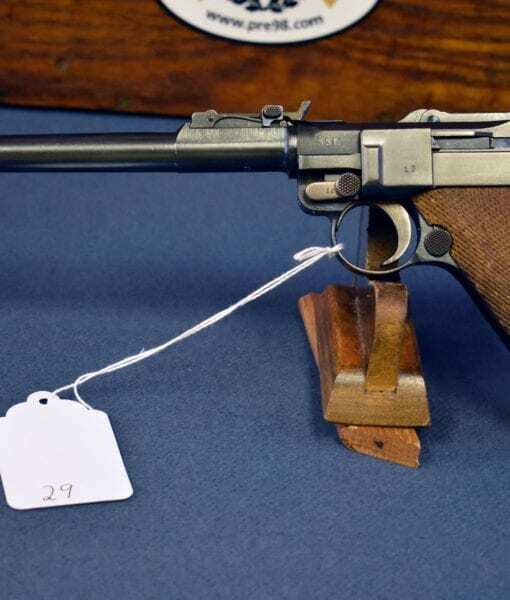 This pistol would have been a serious contender at the target matches of the day.